Anglicanism has the reputation of being rigid and bound by the Book of Common Prayer and the Thirty-Nice Articles. But Anglicanism has also, among its most gifted and courageous leaders, not been afraid to pursue fresh expressions of evangelism and church. The Anglican Church has a way of staying anchored to the ancient tradition while being in tune with the ever-changing times. 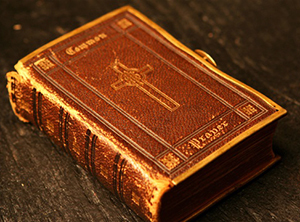 The Book of Common Prayer, being the central rule of faith after the Bible, guides and encourages Anglicanism as it adjusts and thrives as a faithful witness to the gospel of the kingdom. The men I have highlighted in this chapter missed complete orthodoxy and Spirit-led creativity. As I have come to see and know this mix of Spirit and evangelistic entrepreneurialism, I have found a home.